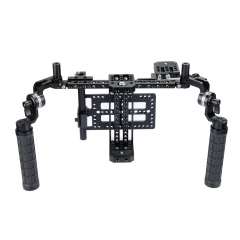 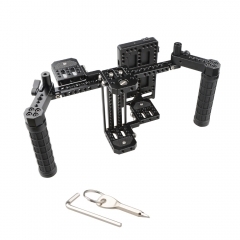 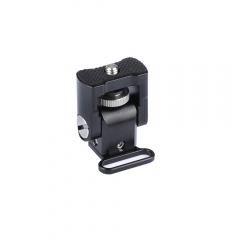 • This CAMVATE Camera Director’s Monitor Cage Rig generally fits any LCD on-camera monitor sized 5" and 7" (ideal for ATOMOS NINJA INFERNO), allowing it to be securely held and carried during a shoot. 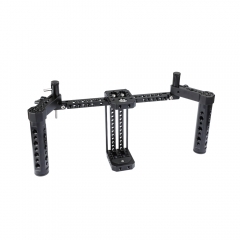 • It features HQ leather handle grips and a padded neck strap for easy handheld using, it also offers availability for easy mounting to a light pole, this monitor cage makes it both simple and comfortable to shoot with a presence of a monitor. 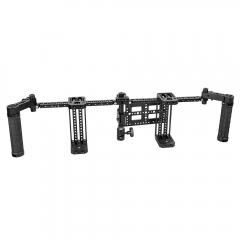 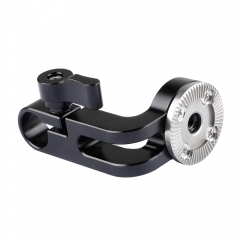 • Based on a universal plate system that mounts a monitor using 1/4"-20 screws on the top and bottom. 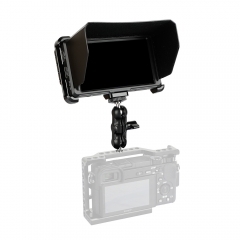 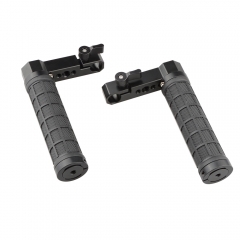 In order for convenience, the cage is equipped with a V-lock power supply splitter for battery, meanwhile it also leaves plenty of room for wireless transmission equipment.